In the previous article, we spoke about the problem of the lack of access to safe drinking water for the base of the economic pyramid (“BoP”) population in India. Water contamination is rampant in India due to widespread practices such as open defecation and unregulated waste disposal. In this article, we will review the types of water treatment techniques and the government’s efforts towards improving drinking water access in India. Coagulation: This is a common pretreatment for most water systems and involves the use of a coagulant that causes particles to lump together for easy removal. Example: A large number of people in India use alum as a simple coagulant to purify water. Filtration: This method involves treating water by passing it through beds of granular materials (e.g. sand) that remove and retain contaminants. Sand beds, woven bags, cartridges, and ceramic filters are often used as filtration mechanisms. Example: Livinguard uses a disinfectant coated cloth in its water filtration systems. Membrane Processes: Here water passes through a membrane (similar to a sieve) and, depending on the size, contaminants are separated out. 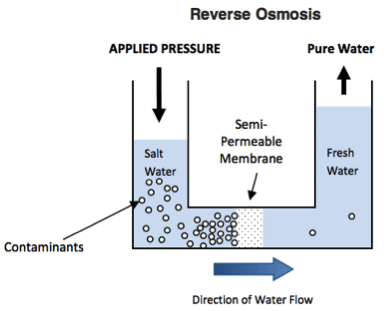 Ultrafiltration involves the use of several layers of different types of membranes. RO is the most efficient desalination (removal of salt) and decontamination method in which pressure is applied to contaminated water, forcing pure water through a semi-permeable membrane while leaving contaminants behind. All these systems require regular membrane cleaning and replacement. Example: A number of companies in India such as Aquasafi, Sarvajal, Waterlife and Greywater offer RO and Ultrafiltration systems. Chemical Disinfection/Oxidation: These processes treat water with chemical additives or through exposure to ultraviolet (“UV”) light. Example: Spring Health uses liquid chlorine to disinfect water. UV light is often used in combination with RO in water treatment systems. Adsorption/Ion Exchange: Here water is treated by adding a substance or adsorbent to attract contaminants by causing them to stick to their surfaces for disposal at a later stage. Ion Exchange process percolates water through bead-like spherical resin materials and the Activated Alumina method is used to attract and remove chemical contaminants such as arsenic and fluoride. Ion Exchange India is one of the pioneers of resin-based technologies in India. Thermax and Lanxess also offer resins for water treatment. Of the existing technologies, RO is perhaps the most effective in removing all kinds of contaminants. However, while RO provides sparkling clean drinking water, it has a dark side. Overkill — during the RO process water is stripped off all its beneficial minerals. To combat this, some systems include a ‘re-mineralization’ process in which minerals are added back to the water but not to the extent of its initial level. The above factors make it an expensive and wasteful technology to be used in the rural setting. Yet, RO is the incumbent go-to technology in India and has a well-entrenched ecosystem with a number of operators and equipment vendors vying for government tenders for water systems. Government’s report card: impressive statistics but are they sustainable? On the surface, statistics related to water access seem impressive. Data from the Department of Drinking Water Supply shows that of the 1.42 million rural habitations in the country, 1.27 (approximately 90%) are fully covered. However, coverage, in this context, refers merely to installed capacity and not actual supply of quality water over a sustained period of time. Availability and deployment of modern technologies is not an issue in India. The problem seems to lie in the failure to sustainably operate and maintain community water systems. 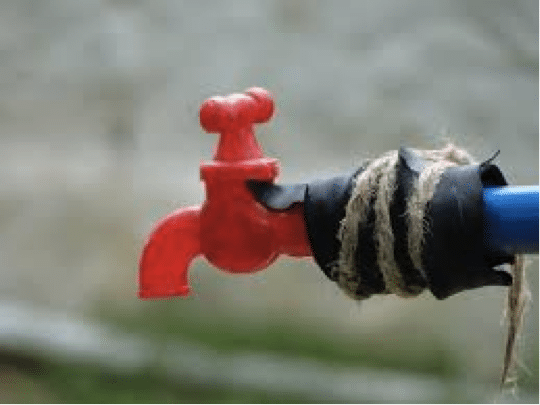 Has government expenditure on water translated into sustainable and affordable services for the masses? Large cities like Mumbai, Delhi and Bangalore receive an average of only 4-5 hours of water supply per day! A 2013 survey (by Outlook) of 30 public-private partnership water projects concluded that every single one of them had failed to deliver on their objectives and that water prices had doubled. The issue seems to lie in the focus on purely quantitative objectives: community water systems are set up based on the tendering process that inherently favors lower cost over sustainability. The new government’s Swachh Bharat (Clean India) campaign allocates Rs 2 million to each village panchayat (local government) for improving water and sanitation facilities. While the campaign focuses heavily on sanitation, we are hopeful that, alongside cleanliness, people in Indian villages will stand a better chance to get safe drinking water on a sustained basis — a basic necessity.